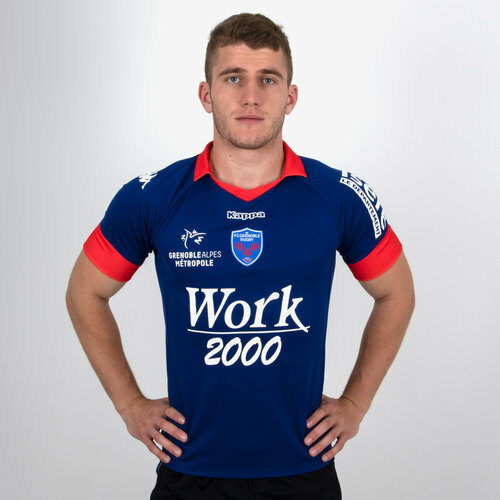 Fly the flag high for the FCG in this FC Grenoble 18/19 Home S/S Replica Rugby Shirt from Kappa. The French team FC Grenoble of the Top 14 league are looking to continue the success of last season's run in the Pro D2 league and take that form up with them. FC Grenoble have teamed up with Kappa sportswear for the kit and training range. This home shirt features the club's classic colours red and blue. The jersey is predominantly blue with red sleeve cuffs and a red collar. The club badge is in the middle of the shirt just under the collar with the Kappa badge just above that. 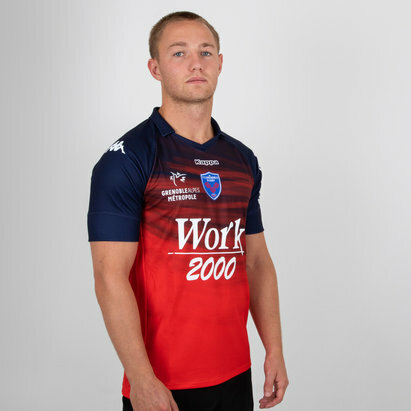 The club's sponsor - Work 2000 - is in the middle of the shirt.